Wouldn’t it be great if you could use your mobile device to capture and report Health and Safety incidents or hazards, as-and-when they are identified? We have completed the creation of our “Securo Incident Reporting App” for existing clients and it’s ready for you to use. It is a useful add-on to our existing Securo Online Health and Safety system. The new application works on smart phones / tablets / laptops (anything with a web browser). Video not working? Watch our 2 minute walk-through on YouTube. We hope that you’ll find this a convenient way for your team to capture, record and submit a workplace incident / hazard in detail, using their mobile device or desktop. Yes. The app saves progress automatically as you advance through the steps. You can return to partly completed forms at any time. Yes! The app is compatible with the voice-to-text function built into most smart-phones. Q3: "How do I share and email out completed incident reports?" Submitted, completed incident records are emailed automatically upon completion. The App sends out an emailed incident report to whomever you have set up in advance to receive such information (i.e. Health and Safety Coordinator, GM/CEO, Managers, Supervisors). Q4: “How do I enable team members to use the app?" In that same section you can enable other team members to use the app also. 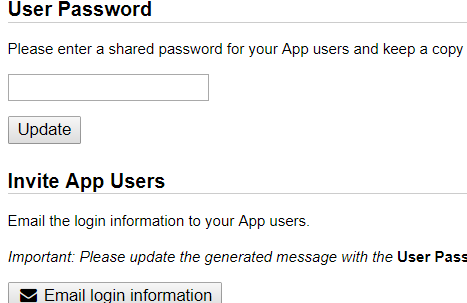 Better than sharing your own HMS password with them, you have the ability to create a seperate password to enable them to use app only. These individual or combined documents will be the ones you retain long term. 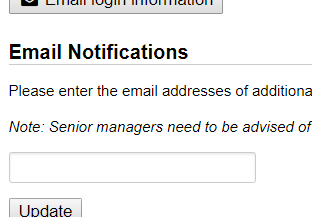 You can view these in the email that was generated for you when you submitted the form, or, login to https://hms.securo.co.nz, open the “Incident Reporting App (019)” tab, click the “View incident records” button and choose from the list of incidents you have submitted. Submitted incident reports cannot be edited or deleted once they have been submitted. The submitted hazard reports are stored in this app for 6 months and then automatically deleted. The email notifications and official forms (019 and 019A) that are generated are yours to retain permanently. For users of the App, the “User Reference Guide” is provided inside the App under “Help”. We encourage you to provide the guide to users before they use the app. Read the User Reference Guide Now (74Kb .pdf). 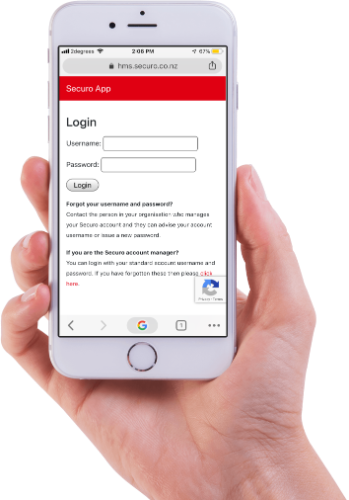 The current Securo Online system has been updated to include a link to the Securo Incident Reporting App, and the “Securo Online H&S System Website User Manual" (429Kb .pdf) has been updated to include details for administrators of the Securo Incident Reporting App. If you are the administrator for the Incident Reporting App, go ahead and become familiar with the details (429Kb .pdf). Need More Info? Have Feedback For Improvements? Please contact your Securo Safety Consultant directly or call Securo Head Office on 0800 55 33 44, or email info@securo.co.nz.